The Phenotip collaboration is an independent international association between maternal-fetal medicine specialists with particular interest in prenatal diagnosis and an experienced software engineer. The prime purpose of the association is to promote accurate and rapid antenatal diagnosis of syndromes. The Phenotip collaboration is not externally funded and relies on the input of its volunteers. 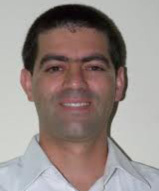 Shay Porat (MD-PhD) is a maternal-fetal medicine specialist working as staff at Hadassah-Hebrew University Medical Center in Jerusalem. He is board certified in Obstetrics, Gynecology and Infertility. His PhD thesis deals with the role of glucose metabolism in pancreatic beta cell proliferation and mass. He completed a fellowship in MFM at Mount Sinai Hospital, Toronto (2009-2012). He is actively involved in clinical and basic research. His interest in clinical research is diverse and includes studying various preventive measures to lower the incidence of maternal and neonatal complications; improvement of the NIPT methodology and the use of ultrasound in the third trimester. His basic research includes in vitro characterization of amniotic fluid stem cells phenotype; the epigenetic regulation of placental gene expression and the importance of different markers of neutrophils activation in pregnancy. David Baud, MD-PhD is a specialist in materno-fetal medicine and is presently working as staff in the CHUV Department of Obstetrics and Gynecology. He is board certified in Obstetrics and Gynecology, and operative Gynecology. After his PhD in microbiology, he worked at various hospitals worldwide including Mount Sinai Hospital in Toronto (2010-2012), Hôpital Necker in Paris (2009-2010) and St-Mary’s Hospital in London, UK (2004-2005), with which he continues active research and clinical collaborations. His current research focuses on emerging infectious causes of adverse pregnancy outcomes and fetal therapy. He has been the recipient of several national and international research awards, including the Bayer Schering Prize, SICPA Foundation, "Société Académique Vaudoise", Swiss National Science Foundation (SNSF), Swiss Society of Obstetrics and Gynecology, and the "Bourse Leenaards pour la relève académique". Tim Van Mieghem received his Medical Degree from the K.U. 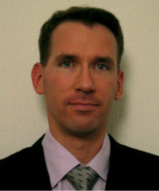 Leuven in 2004 and completed his residency in Obstetrics and Gynecology in 2011. He obtained a PhD in biomedical Sciences from the K.U.Leuven in 2010, with the manuscript "Fetal and maternal hemodynamics in pregnancy". Tim subsequently completed a fellowship in Maternal-Fetal Medicine at Mount Sinai Hospital, Toronto, Canada (2011-2013). From October 2013, he is a staff member of the division of Obstetrics and Gynecology at the University Hospitals Leuven where he concentrates his clinical practice on fetal medicine and high risk obstetrics. 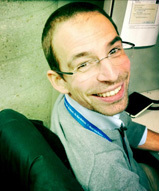 Tim Van Mieghem’s research interests focus on the prevention of pregnancy related pelvic floor disorders in women as well as on the effect of prenatal therapy on fetal hemodynamics.